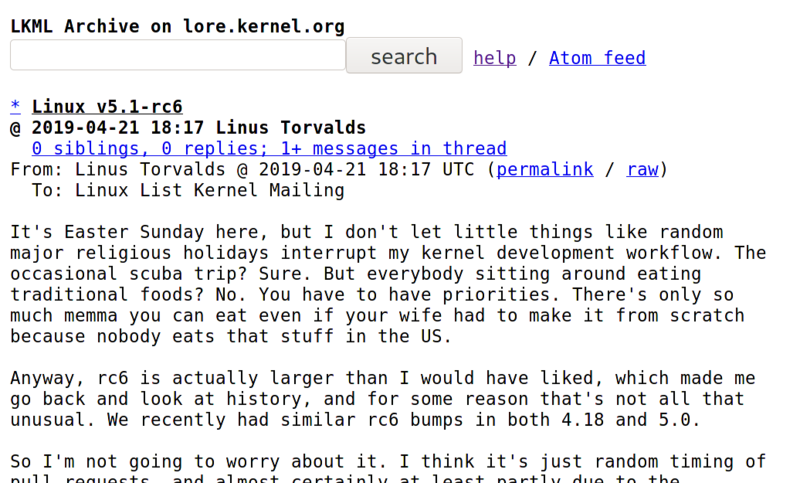 "[…] there’s a downside to #XDP: because it processes packets before the normal #Linux #kernel network stack sees them, packets redirected or dropped are invisible to […] #tcpdump. […] we built a tcpdump replacement for XDP, xdpcap. 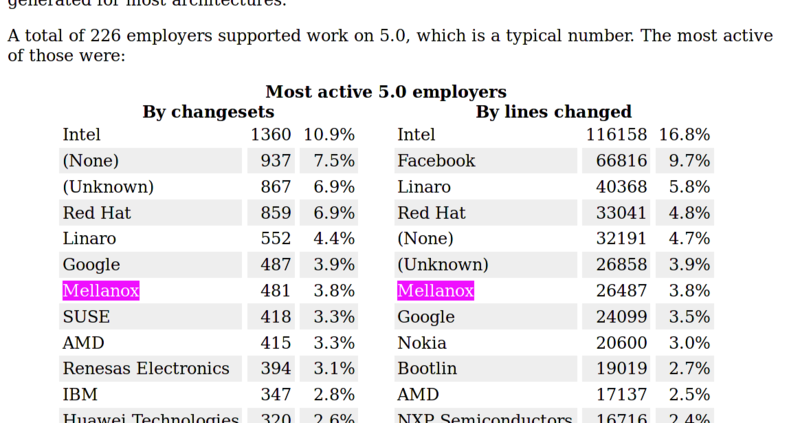 We are open sourcing this tool […]"
Remember those in the #systemd wars that said "boot speed doesn't matter on servers"? 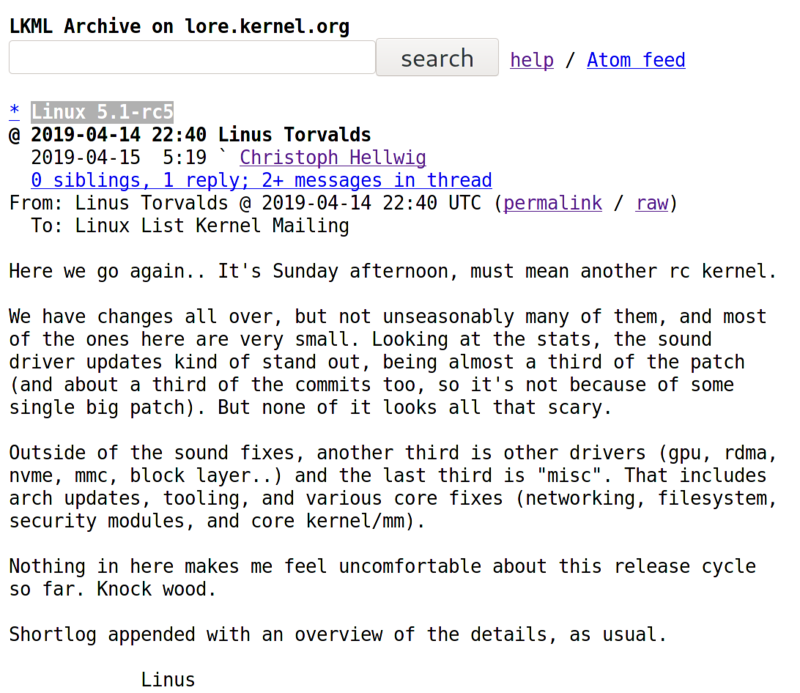 "[…] rc6 is actually larger than I would have liked […] I'm not going to worry about it […] but more importantly, give it a whirl and kick the tires... […]"
Ubuntu 19.04 Disco Dinog ist verfügbar und viele bahnbrechende Verbesserungen gibt es nicht. 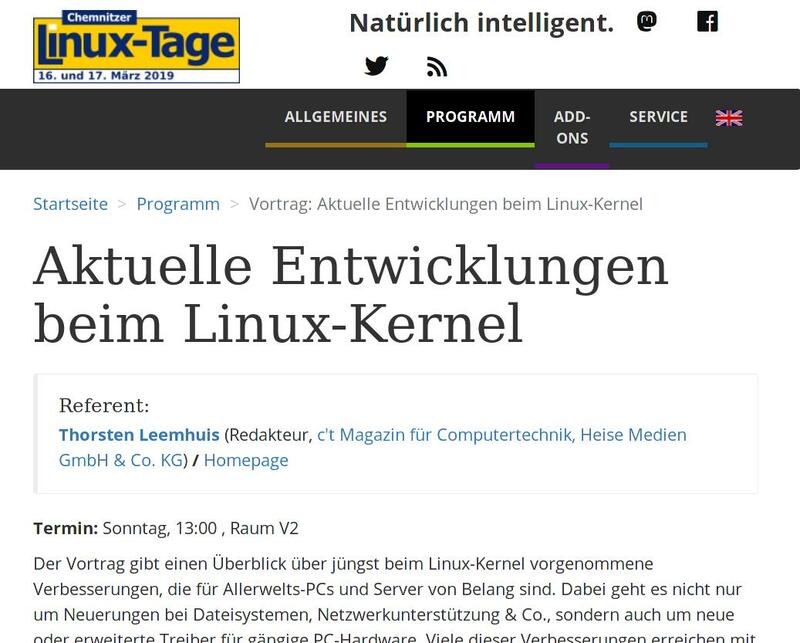 Die Software-Verwaltung finde ich weiterhin unschön. 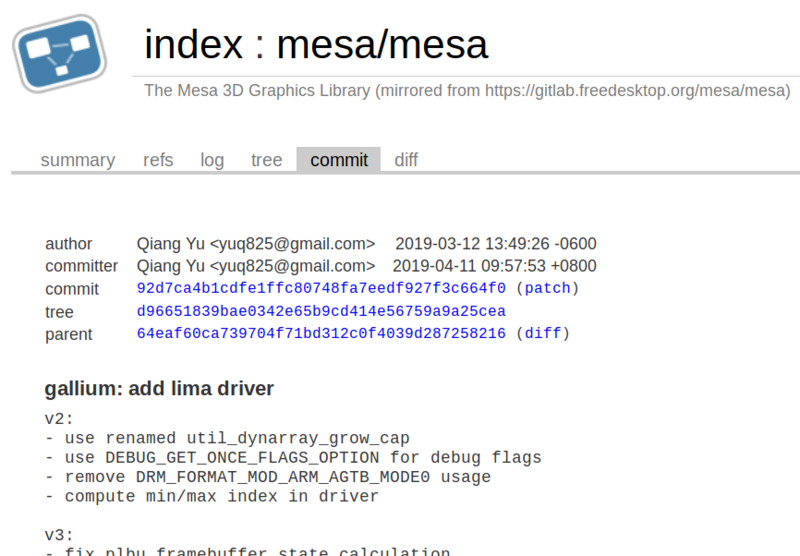 The corresponding OpenGL driver is in Mesa master and thus will be part of Mesa 19.1, expected late May. "[…]We have changes all over, but not unseasonably many of them, and most of the ones here are very small. […] Nothing in here makes me feel uncomfortable about this release cycle so far. Knock wood. 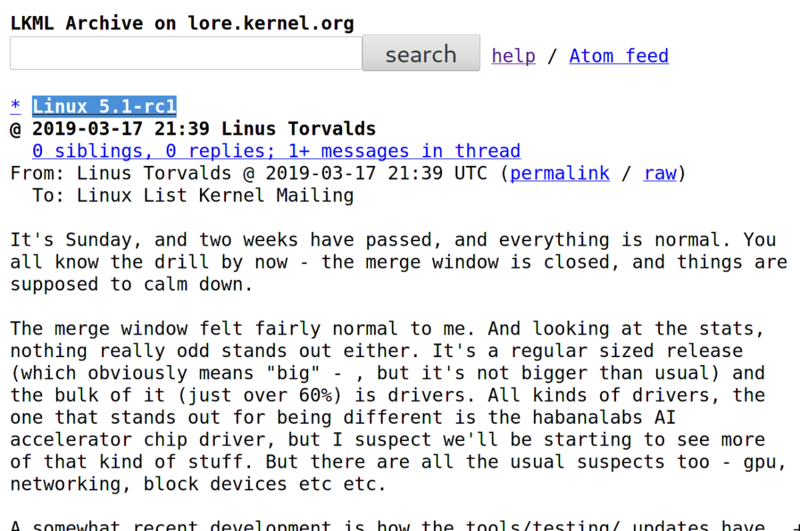 […]"
David is totally right, it just escaped my #linux next watch script and thus I didn't mention here it was slated for #kernel 5.2. Also support for larger #ebpf programs. 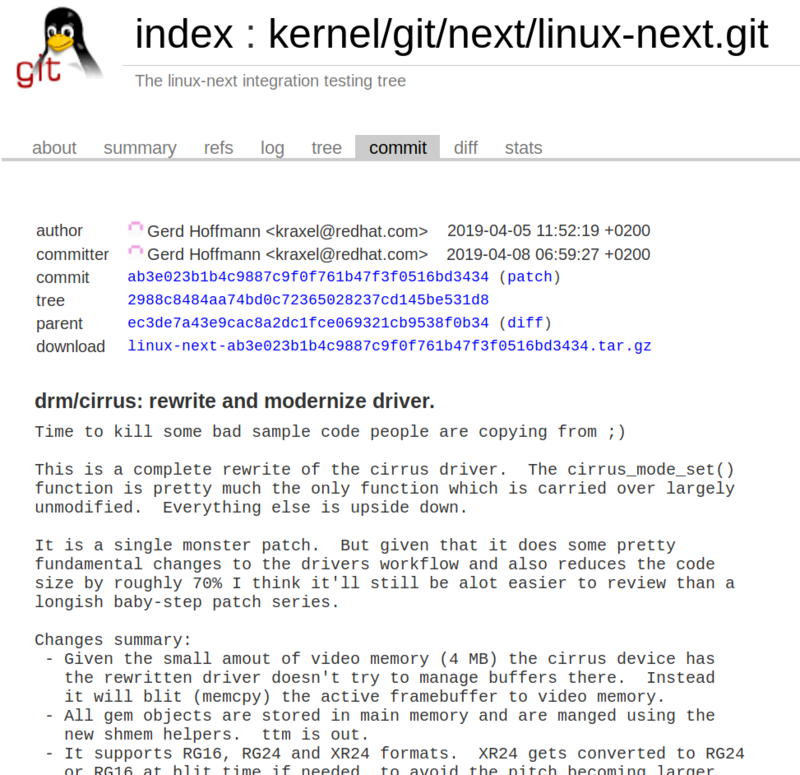 The rewritten and modernized cirrus #drm driver hit #linux next (git.kernel.org/pub/scm/linux/…) and thus is slated for inclusion in #kernel 5.2. 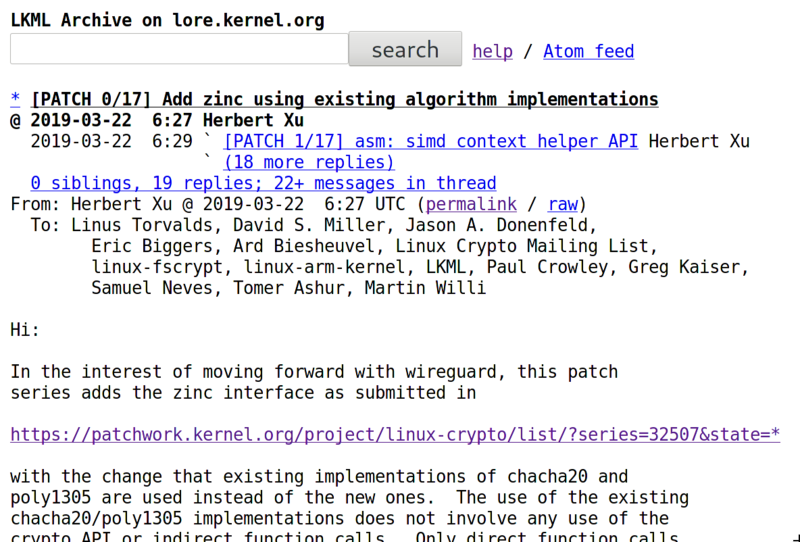 "[…] single monster patch. But given that it does some pretty fundamental changes […] also reduces the code size by roughly 70% […]"
Another week, another rc. Smaller than rc3, I'm happy to say. Nothing particularly big in here, just a number of small things all over. […]"
"[…] Nothing particularly unusual going on here. 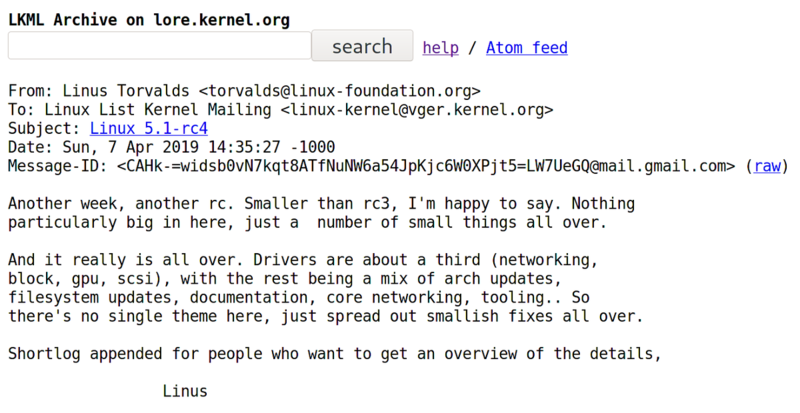 […] The rc3 release is bigger than normal, […] it's early enough in the rc series that it's not something I really worry about. Yet. 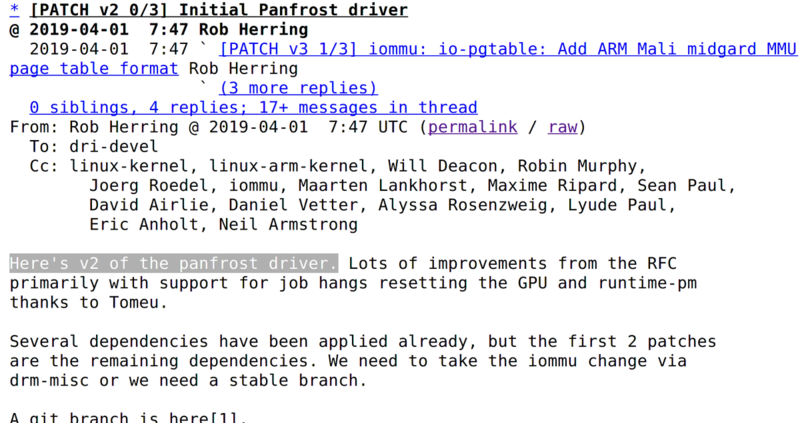 […]"
Ubuntu MATE 18.04 Beta 1 auf Raspberry Pi installieren - 32- und 64-Bit! Ab sofort gibt es die lang erwartete Version von Ubuntu MATE 18.04 für den Raspberry Pi. Es ist eine Beta und Abbilder gibt es für 32- und 64-Bit. """[…] Things look fairly normal, but honestly, rc2 is usually too early to tell. People haven't necessarily had time to notice problems yet. Which is just another way of saying "please test harder". […]"""
"[…] everything is normal […] A somewhat recent development is how the tools/testing/ updates have been quite noticeable lately […] he documentation subdirectory is also quite noticeable. 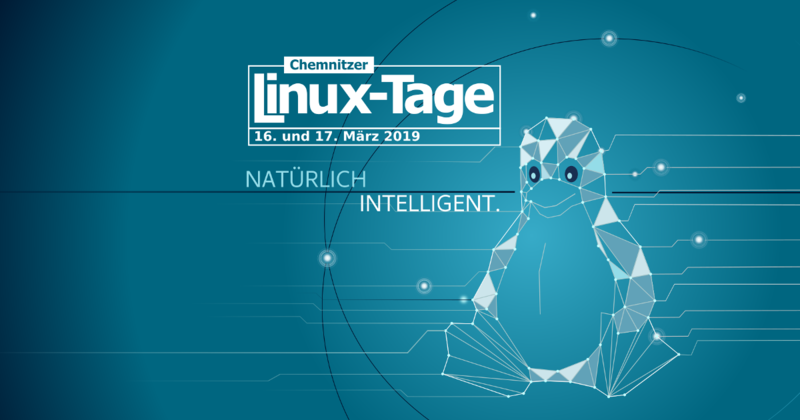 […] really stuff all over […]"
Die Chemnitzer Linux-Tage sind eine Veranstaltung rund um das Thema Linux und Open Source für jedermann, die Linux-Nutzer, Insider und Unternehmen zusammenbringt. The recoding of my "What's up in #Linux #Kernel land" talk I gave at this years @devconf_cz is online now. Enjoy! 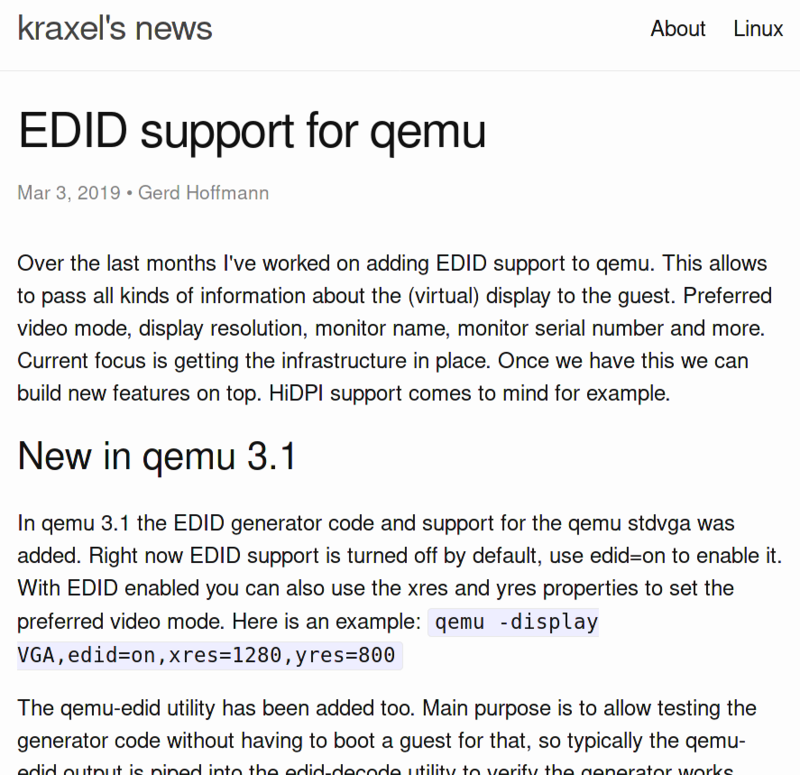 EDID support for #qemu: kraxel.org/blog/2019/03/e… Gerd Hoffmann writes: "[…]This allows to pass all kinds of information about the (virtual) display to the guest. 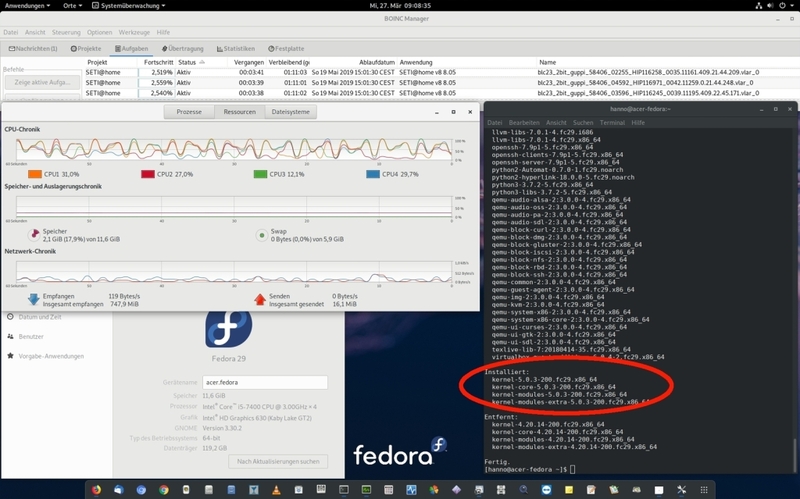 Preferred video mode, display resolution, monitor name, monitor serial number and […] New in #linux #kernel 5.0 […]"
Over the last months I've worked on adding EDID support to qemu. This allows to pass all kinds of information about the (virtual) display to the guest. Preferred video mode, display resolution, monitor name, monitor serial number and more. Current focus is getting the infrastructure in place. Once we have this we can build new features on top. HiDPI support comes to mind for example. Wow. 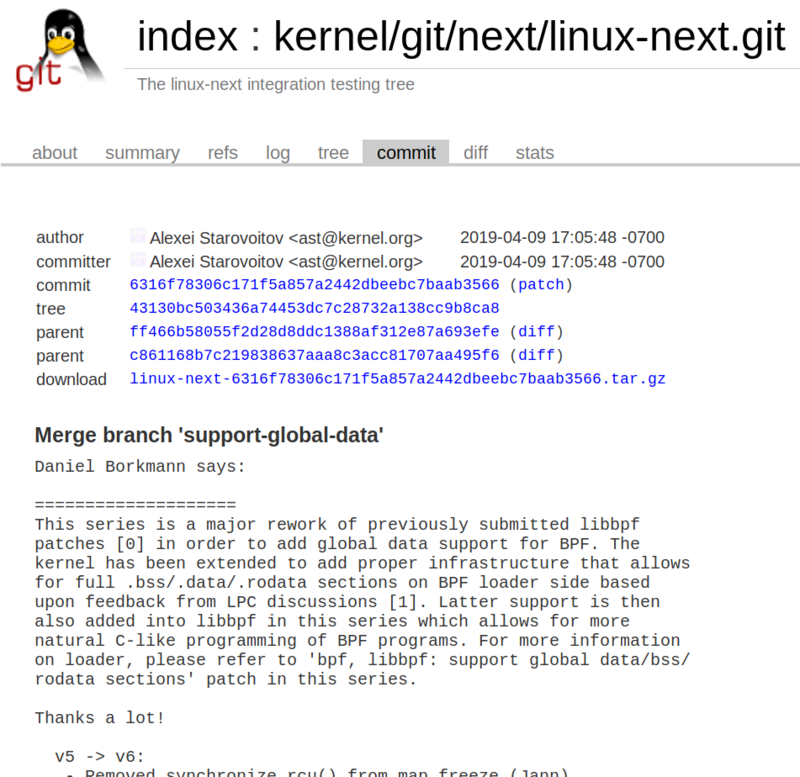 New #linux #kernel 5.0 already available. Googleʼs Project Zero team is well-known for its knack of finding security flaws in the companyʼs own products as well as those manufactured by other firms. Its members locate flaws in software, privately report them to the manufacturers, and give them 90 days to resolve the problem before publicly disclosing it. Last year, the team revealed vulnerabilities in Windows 10 S and Microsoft Edge. Now, it has exposed a "high severity" flaw in macOSʼ kernel. 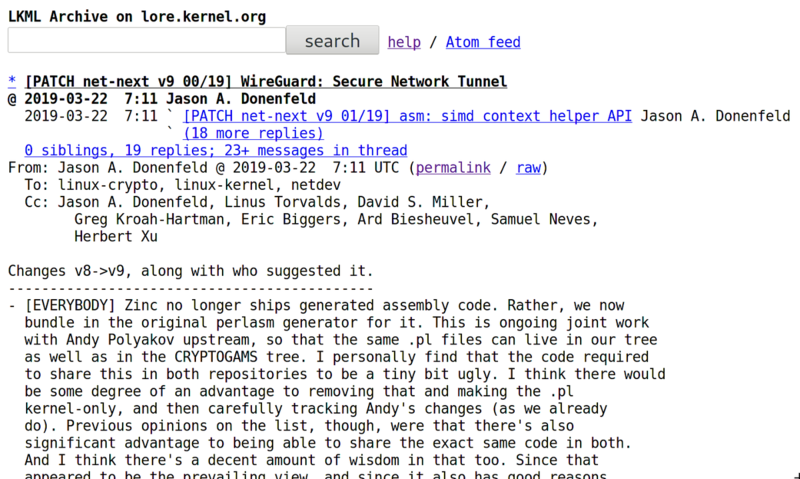 A security researcher from Googleʼs Project Zero has discovered that even though macOSʼ kernel, XNU, allows copy-on-write (COW) behavior in some cases, it is essential that any copied memory is not available for modifications from the source process. While COW is a resource-management technique that is not inherently flawed, it appears that Appleʼs implementation of it certainly is. This copy-on-write behavior works not only with anonymous memory, but also with file mappings. This means that, after the destination process has started reading from the transferred memory area, memory pressure can cause the pages holding the transferred memory to be evicted from the page cache. Later, when the evicted pages are needed again, they can be reloaded from the backing filesystem. This means that if an attacker can mutate an on-disk file without informing the virtual management subsystem, this is a security bug. 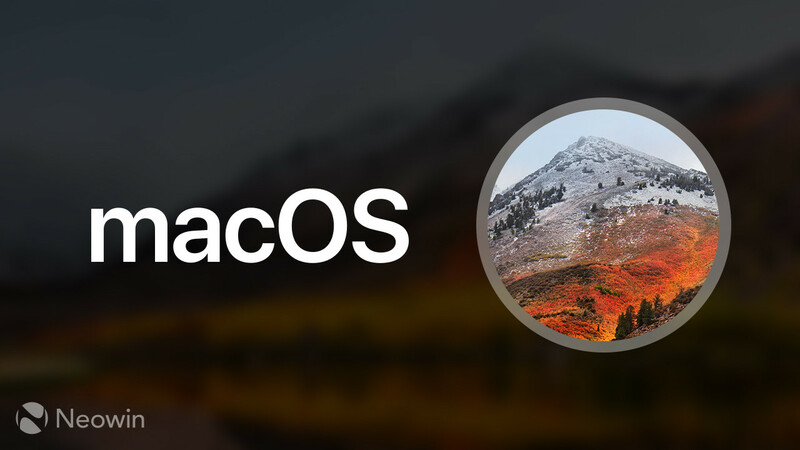 MacOS permits normal users to mount filesystem images. 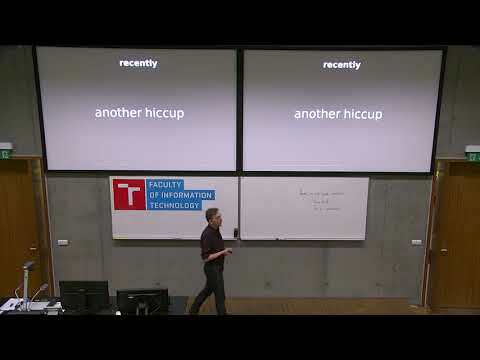 When a mounted filesystem image is mutated directly (e.g. by calling pwrite() on the filesystem image), this information is not propagated into the mounted filesystem. The researcher informed Apple about the flaw back in November 2018, but the company is yet to fix it even after exceeding the 90-day deadline, which is why the bug is now being made public with a "high severity" label. That said, Apple has accepted the problem and is working with Project Zero on a patch for a future macOS release. You can also view the proof-of-concept code that demonstrates the problem on the dedicated webpage here. 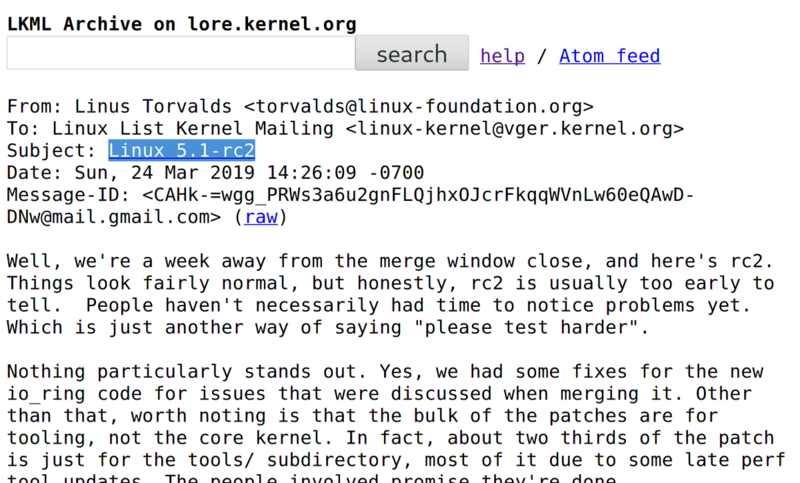 Google's Project Zero has exposed a "high severity" flaw in macOS' kernel XNU - which apparently has issues in its implementation of copy-on-write behavior - after Apple failed to fix it in 90 days. 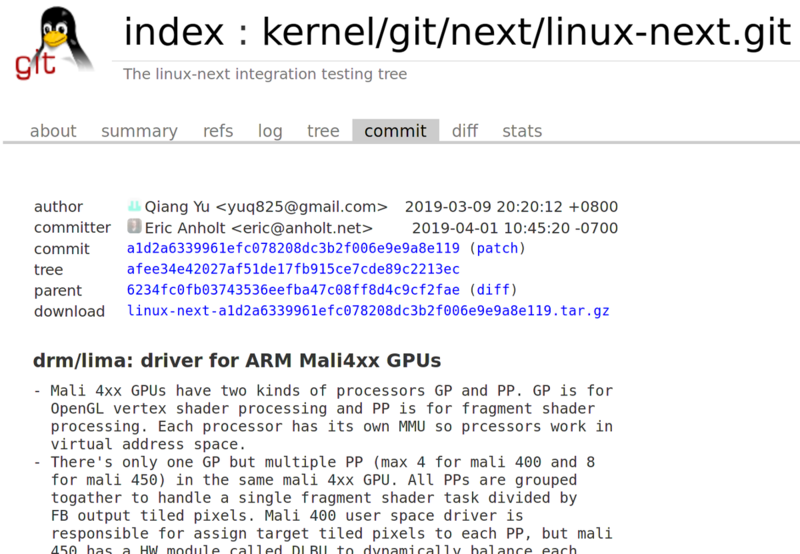 [IMG]A security researcher from Googleʼs Project Zero has discovered that even though macOSʼ kernel, XNU, allows copy-on-write (COW) behavior in some cases, it is essential that any copied memory is not available for modifications from the source process. While COW is a resource-management technique that is not inherently flawed, it appears that Appleʼs implementation of it certainly is. 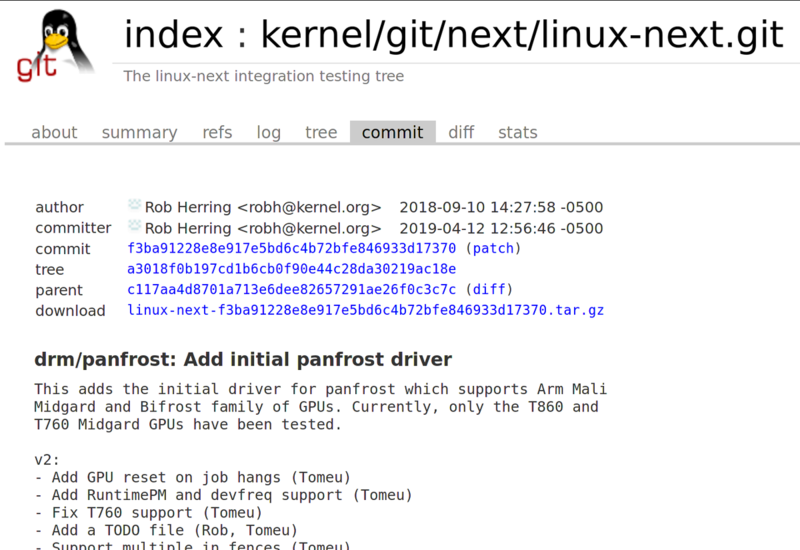 Here is your answer in case you wonder why after tagging in git it often takes a few hours until a new #Linux #mainline release tarball actually shows up on #kernel.org. 5.0 is not out until @gregkh says it's out. 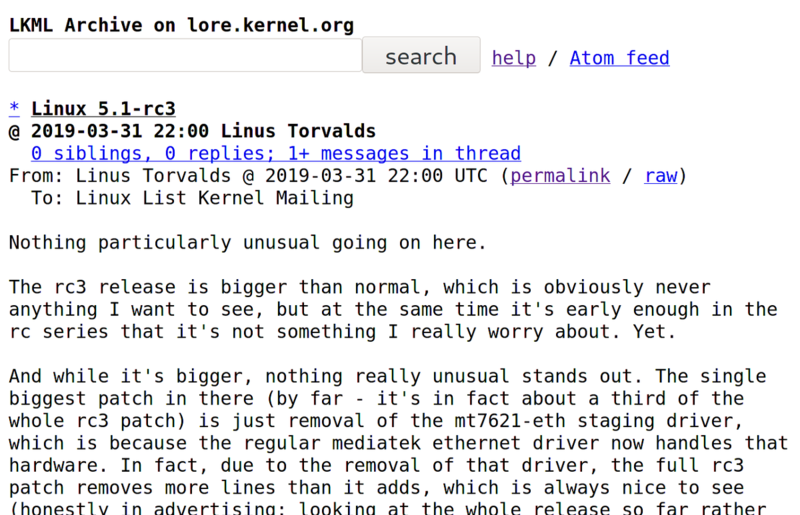 As head of stable release team, he's the one responsible for signing the tarball for 5.0.
lore.kernel.org/lkml/CAHk-=wju… "[…] I'd like to point out (yet again) that […] "5.0" doesn't mean anything more than that the 4.x numbers started getting big enough that I ran out of fingers and toes. […]"